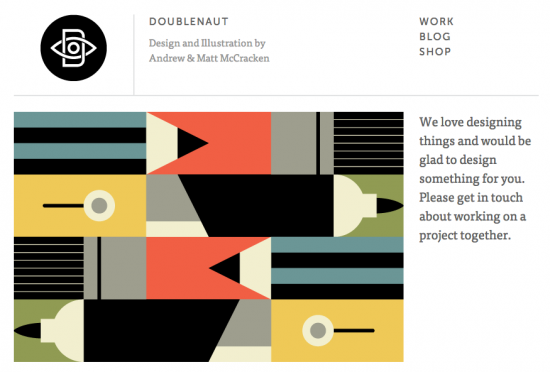 Design firm Doublenaut finds value in business blogging. The thing I see consistently as the reason businesses don’t blog often or let their blog fall along the side is they don’t have time. It’s the top reason I see consistently with new clients and when I read other stories from around the web. Yet what I also see is that these businesses want to blog. They see other businesses blogging and having success and they want to do it as well. The reason businesses want to blog, but struggle to actually do the work is because they see a competitor having success or a company in a similar industry having success. The company starts their own blog and after a couple months they don’t get any traction and they quit. Blogging is at minimum a two-year commitment. It is possible to get success right away, but it’s extremely rare. Unless you already have an audience built in another medium it will take time to get followers and subscribers for your blog, but along the way you’ll slowly build something powerful – the audience of interest people that want to purchase from you. They trust you. Last year the design firm Doublenaut gave a presentation. At about the 20:00 mark in the video they talk about some of the things they do to bring in new business. They talk about networking and having friends and business owners that consistently need design work. They also talk about sharing their work with online portfolios. Sites like Dribbble allow designers to showcase their work where businesses are actively looking for examples. Doublenaut also works on building the network previously mentioned with social media and with their blog. They mention Facebook and Twitter and the blog. They feel all of these items help them get more business. The trouble is they find it difficult to keep up with all of it all while actually designing for their clients. This is not an uncommon issue. Businesses struggle with this all the time. They know there are tons of ways to get new business, but they can’t put effort into all of them. When it comes to social media the strategy I’ve seen work for businesses in multiple industries is to focus on your own property first. Use the content you create on your site or you blog and share it on social networks like Facebook and Twitter. It’s like an online design portfolio. You have a portfolio on your site with details. Then perhaps you put a few things on Dribbble to get attention there. But the ultimate goal is to get prospects to your site so they can contact you for work. You never know how the social network will change over time. You don’t have control. Businesses have had issues with Facebook changes for a few years now and it’s always going to be that way. You control your website and your blog. Focus there first. You can still build a big following on social media this way. It works especially well for B2B firms. And a quick note on finding the time to blog. It’s a common issue and at some point you may have to realize that you don’t enjoy blogging as much as you thought. You can hire a company to handle the blogging. You can still blog on your own when you have inspiration, but to keep consistent posts going you can hire help. Good luck with your business blogs in 2013!